Happy Halloween! 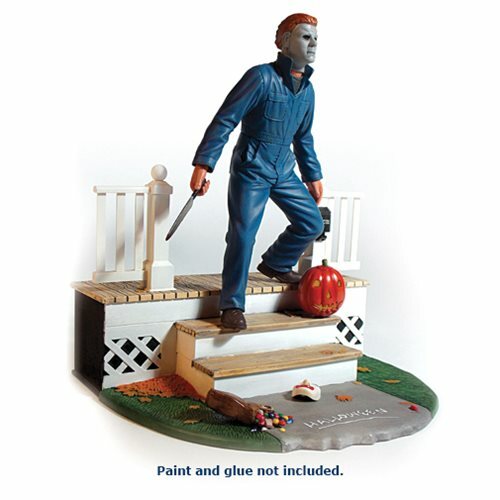 Based on his appearance in the iconic 1978 horror movie Halloween, fans can bring home their very own knife-wielding murderer. It's up to the builder how bloody Michael ends up! A small lighting kit for the pumpkin is included to create a flickering effect, powered by a "button cell" battery. This kit requires paint and glue for final assembly (not included). Skill Level 3. Ages 15 and up.